Spread the Word Nevada (STWN) received a $55,000 grant from the Andrew Family Foundation. The $50,000 grant supports the Books & Buddies program at Beckley and Dailey Elementary Schools for the 2018/19 school year with $5,000 for outreach of mentors to grow the crucial needs for weekly one-on-one mentoring and increase the number of children served. The Books & Buddies Mentor Centers provide individualized attention to at-risk children by focusing on improving reading proficiency, comprehension, and oral reading skills. 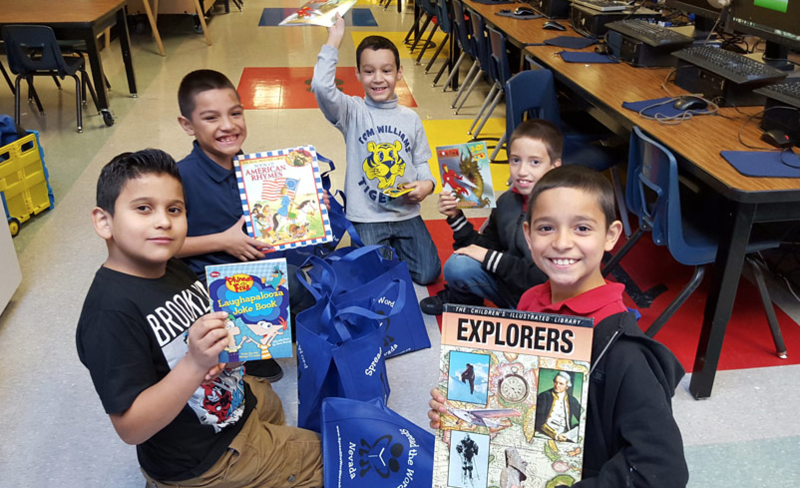 To learn more about the Books & Buddies program or how to become a mentor, click here.